Image Size: 349mm x 285mm (image size does not include paper border, mount and frame). Format: Giclée Print, [ed. size 950] on 310gsm thick 100% cotton rag. Hand-numbered and hand-embossed. Price: £138.00. A lithograph from the 'The Submarine Series'. 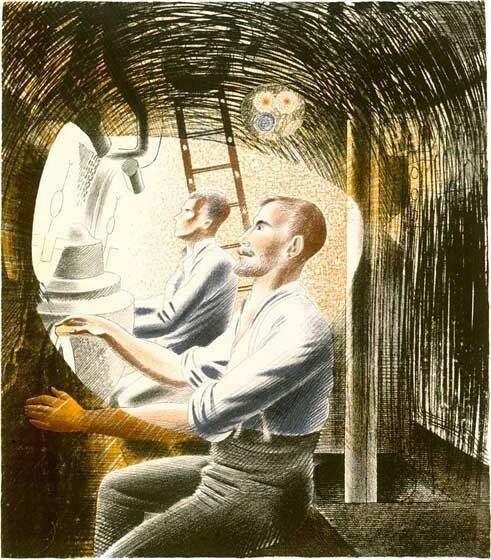 The series was at first commissioned in 1940 by the War Artist's Committee. Printed to the original size of the lithograph.